Subsidiary of South Korean Posco group has bought its way into MIFEE. The company whose plantation plans once brought down the government in Madagascar is already clearing land for an oil palm plantation. Plans in Merauke: Daewoo International Corp bought an 85% stake in PT Bio Inti Agrindo.3 This company, previously thought to have been linked to Korindo, has obtained permissions to develop a 40,000 hectare oil palm plantation in Merauke. It seems likely that Daewoo’s plans are not limited just to this 40,000 hectares. Local groups believe thar PT Papua Agro Lestari and PT Ulilin Agro Lestari are connected to Bio Inti Agrindo. Both these companies have permits for 40,000 hectare oil palm plantations, although PT Ulilin Agro Lestari does not seem to be currently active. Furthermore, the nature of the relationship between Daewoo and Korindo remains unclear. In particular local sources have noted that PT Berkat Citra Abadi, previously known to be a Korindo company, appears to be run from the same office as PT Bio Inti Agrindo and PT Papua Agro Lestari. Previously two more companies, PT Muting Jaya Lestari and PT Digul Agro Lestari, registered at Bio Inti Agrindo’s address in the Stock Exchange Tower in Jakarta, were given initial permits for large corn plantations. Those permits appear to have been cancelled. In Kampung Selil, a blockade of PT Bio Inti Agrindo’s land took place in December 2012. There is reportedly a conflict in this village because two different clans from different ethnic groups claim rights over the same land. International links: As well as Indonesia, Daewoo International Corp is planning a 26,000 hectare rice and soy-bean farm in Cambodia.7 It also has offices around the world. However, since Daewoo Corporation was broken up after the Asian financial crisis, not all companies bearing the name Daewoo are the same. In particular, the car brand has been bought by General Motors, who have been phasing out the Daewoo brand. PT Bio Inti Agrindo has announced on their website that they are also conducting business in Madagascar, so it may be that this Indonesian company will be Daewoo’s vehicle to revive it’s projects in that country which have met with heavy resistance. 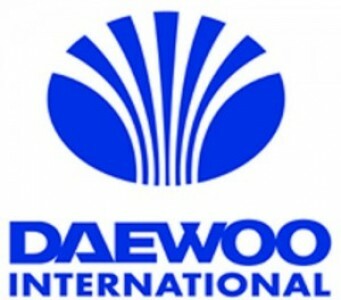 Reports from Korean Media and Madagascan groups also indicate that Daewoo might be intending to move back in there.8 The website also mentions that the company uses the Dutch Rabobank for financial services.